Blue Origin, the space tourism firm owned by Amazon's Jeff Bezos, has successfully flown its reusable space tourism capsule for the first time. 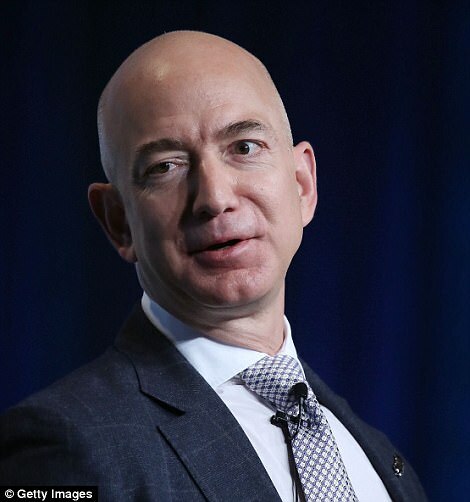 The 'Crew Capsule 2.0' reached orbit and returned to Earth with a test dummy strapped into it called Mannequin Skywalker, who 'had a great ride', according to Bezos. 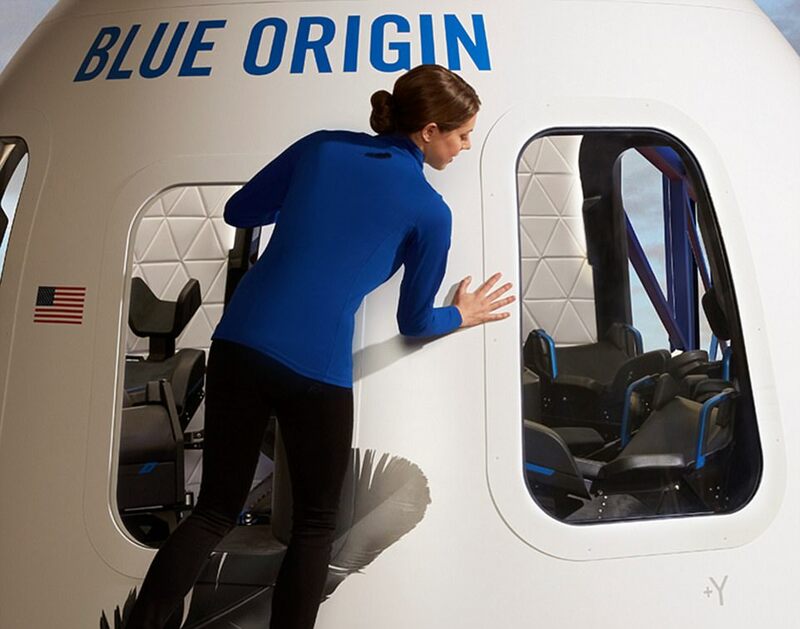 The capsule's roomy interior includes seats for six travellers, who will be treated to views from the 'largest windows in space' when the firm begins commercial flights. 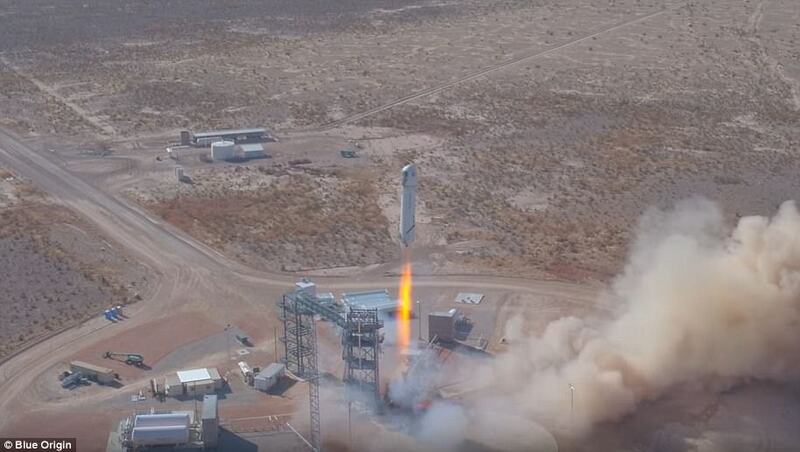 Launching from Blue Origin's West Texas Launch Site, yesterday's test featured the latest version of the firm's reusable New Shepard rocket, its first flight in 14 months. In October, Bezos said Blue Origin will take tourists into orbit 'within the next 18 months'. The system consists of a pressurised crew capsule atop a reusable 'New Shepard' booster rocket. The two vehicles launch together, accelerating for approximately two and a half minutes, before the engine cuts off. The capsule then separates from the booster to coast quietly into space. 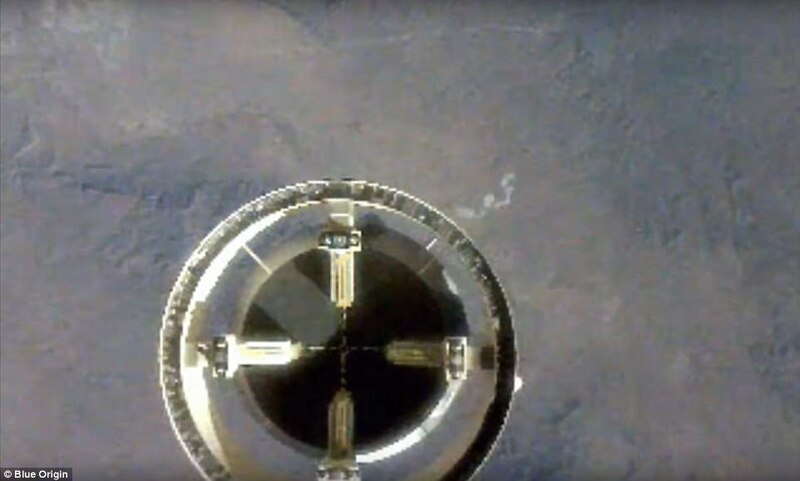 After a few minutes of free fall, the booster performs an autonomous rocket-powered vertical landing. The passenger capsule lands softly under parachutes, both ready to be used again. The company isn't yet taking reservations or publishing its ticket prices, with would-be riders forced to wait until the firm completes its tests. In a video of the launch, the New Shepard rocket is captured firing into orbit, disconnecting from the capsule, and then landing vertically back on the launch pad. 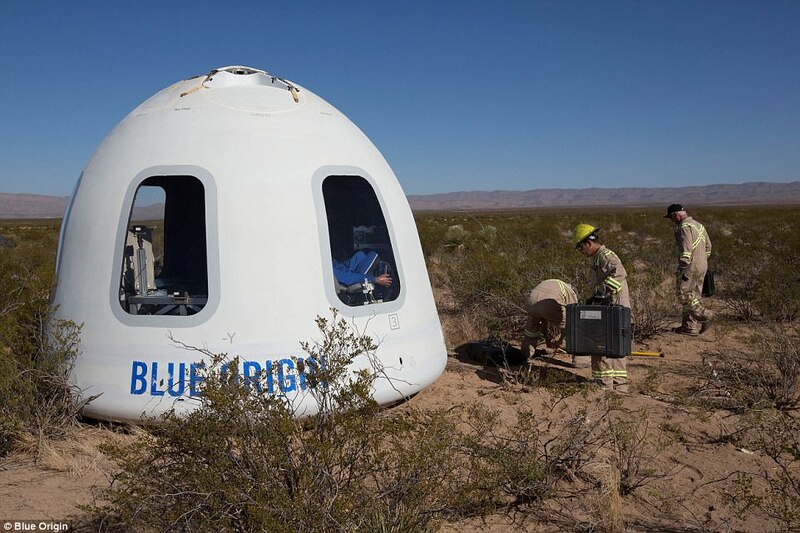 Shortly after this, the 'Crew Capsule 2.0' pod is seen floating back to the ground under two enormous parachutes before landing in the Texas desert at around 1 mile per hour (1.6 kph), according to Blue Origin. 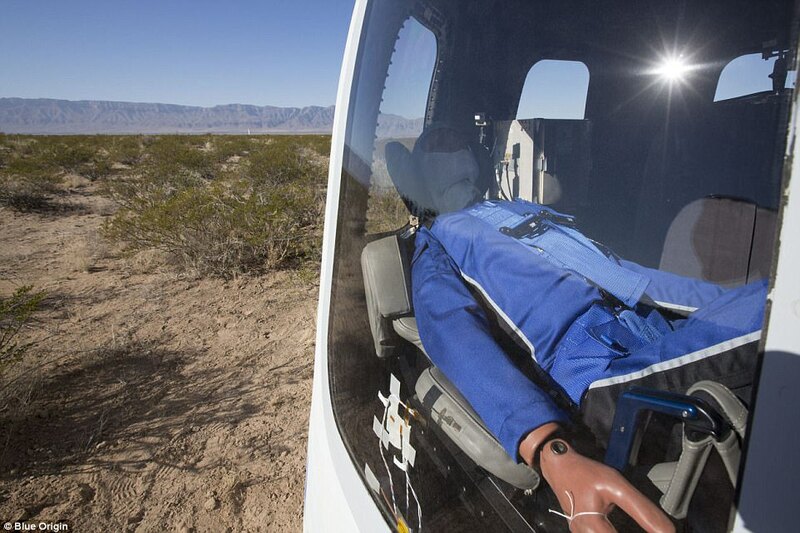 In addition to the dummy, yesterday's 10-minute test flight carried 12 commercial, research and educational payloads within the crew capsule, Blue Origin said. The capsule offers 530 cubic feet (15 cubic metres) of space - large enough for passengers to float freely and turn weightless somersaults. 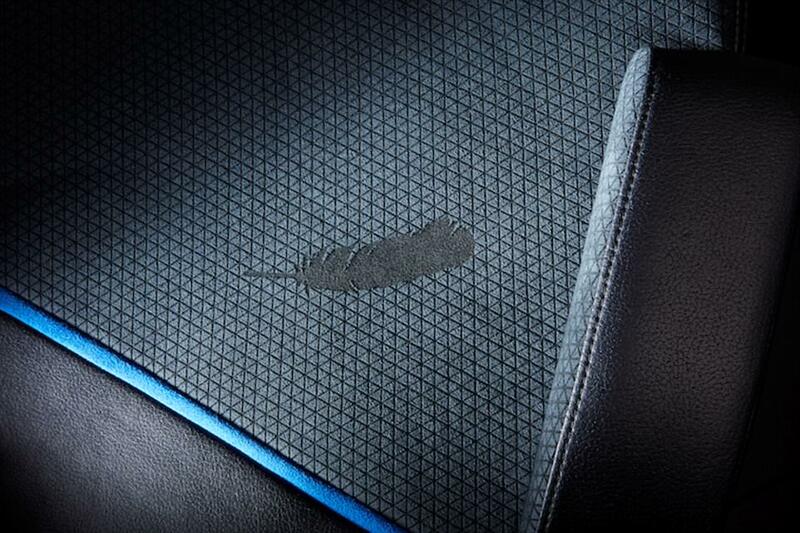 The include reclining black seats with blue piping, and seats emblazoned with the Blue Origin feather logo. 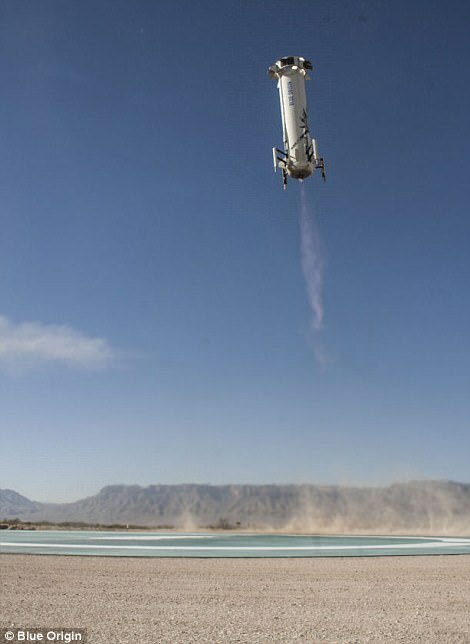 'Today's flight of New Shepard was a tremendous success,' Blue Origin CEO Bob Smith said. 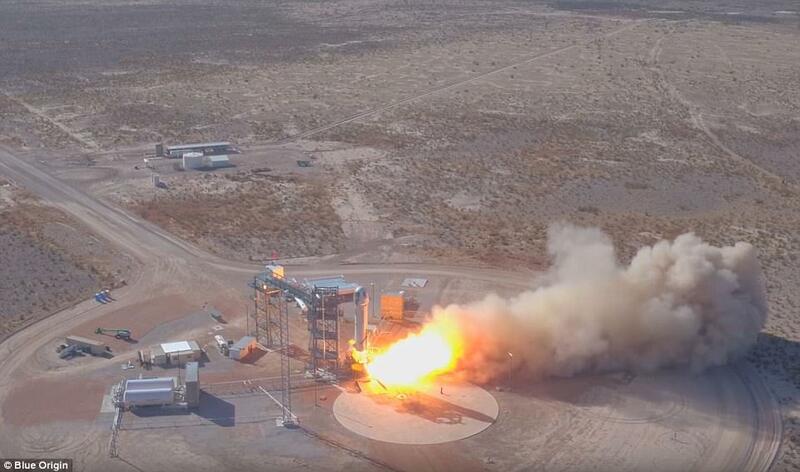 Launching from Blue Origin's West Texas Launch Site, yesterday's test was powered into orbit by the latest version of the firm's reusable New Shepard rocket, its first flight in 14 months. The suborbital New Shepard launch system consists of a rocket and capsule designed to fly payloads and passengers to about 100 kilometres (62 miles) above the planet. 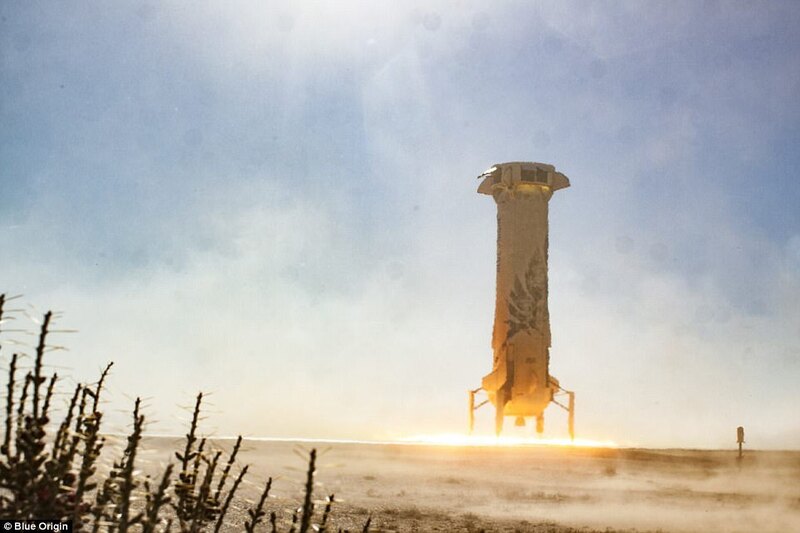 The test was the New Shepard system's seventh successful launch, and featured the rocket's next-generation booster and the first flight of Crew Capsule 2.0. 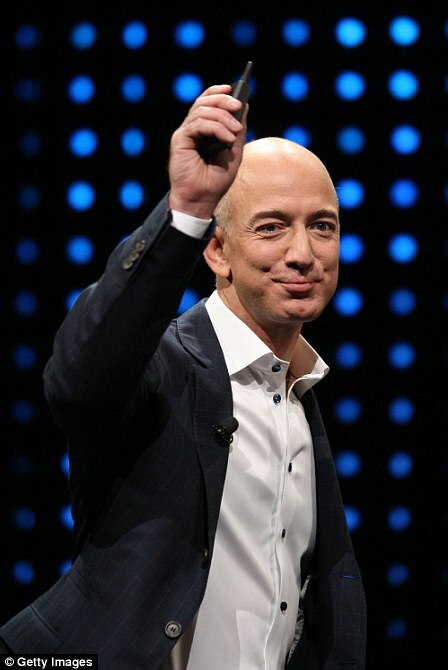 The capsule reached orbit and returned to Earth with a test dummy strapped into it called 'Mannequin Skywalker', who 'had a great ride', according to Bezos. Blue Origin's suborbital New Shepard launch system consists of a rocket and capsule designed to fly payloads and passengers to about 100 kilometres (62 miles) above the planet. Test flights with crew members aboard are expected to begin next year. Every seat on the flight will have access to a large window, which the company says is made of multiple layers of fracture-tough materials. Minimising distortion and reflection, the windows transmit 92 per cent of visible light giving them visibility 'as good as glass', according to Blue Origin. The system consists of a pressurised capsule on top of a reusable booster rocket. After a few minutes of free fall, the booster performs an autonomous rocket-powered vertical landing, while the capsule lands softly under parachutes, both ready to be used again. Jeff Bezos' space tourism project with Blue Origin is competing with a similar programme in development by Space X, the rocket firm founded and run by Tesla CEO Elon Musk. 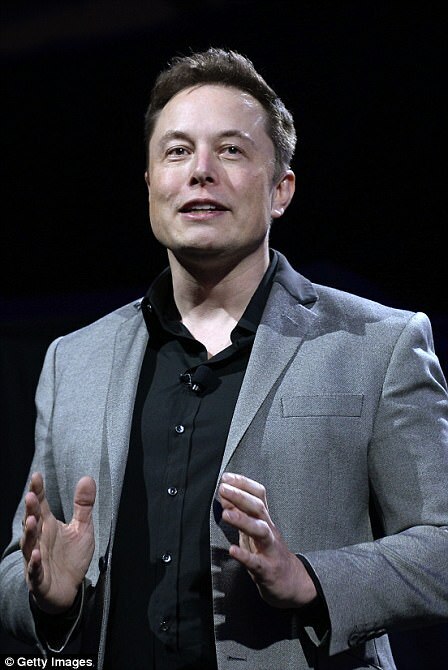 While Bezos' reusable rocket New Shepard has launched seven times, with six successful landings, Musk has re-landed 20 reusable Falcon 9 rockets over the past two years. Space X's launched its 17th successful flight of 2017 last month, already more than doubling last year's tally of eight. 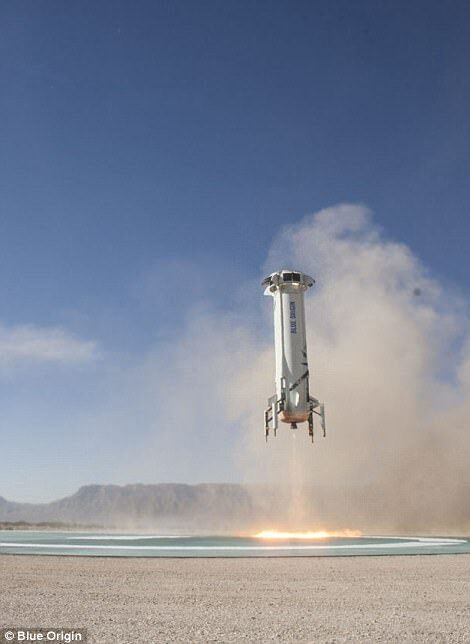 New Shepard rockets are sub-orbital and only use a single stage, meaning they are 'fully reusable', according to Blue Origin. Falcon 9 rockets are split into two segments, with only the first stage flying back to Earth, making them only partially reusable.